At first glance, the new gear may not seem like a very big upgrade, but combined with a full set of 14 slots, it adds up to be fairly significant. Those of you who are min-maxed in all level 61 (rank 26) modifications are probably at the point where your main stat gives you diminishing returns. 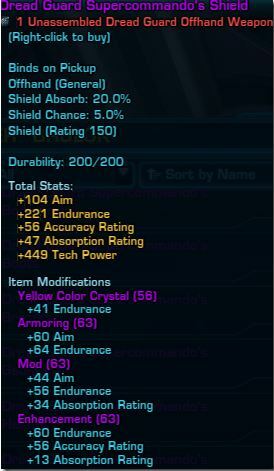 These new mods will allow you to start changing out your augments that have your main stat in them for other augments to supplement stats you are lacking. The new mods are level 63 which, for dps and healers, will increase armoring by +4 main stat/+3 endurance and mods by +3 main stat (if you are min-maxing properly). Tank armorings are reversed and will receive +4 endurance/+3 main stat to armorings and +3 to endurance/main stat. 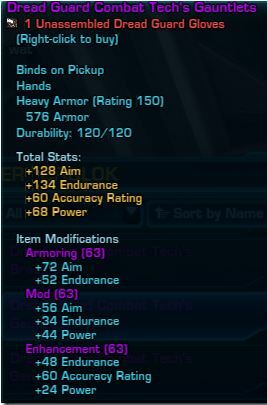 Sadly, the gear itemization for some sets still don’t make sense in the way they are set up. 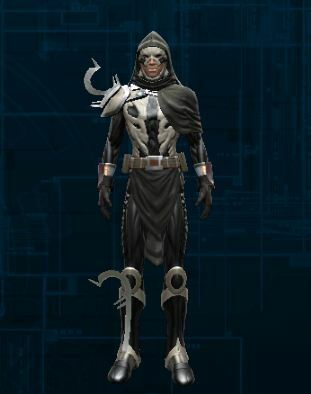 This forces players to pick gear out of a different advance classes’ set in order to get the mods that they want. This One of the more positive changes of the new gear, though, is the ability to fine tune your offhand if you had a generator, focus or shield previously. It just provides more slots where you can pick and choose the proper modifications that work out the best for your character and style of play. Oddly enough, there still are no signs of the new tier ear pieces from any vendors so I can only assume that these pieces will be drops from hard mode bosses in operations.